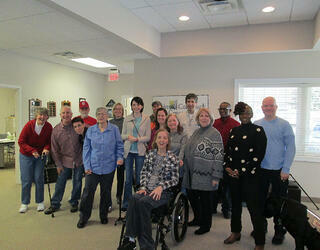 The Stroke Comeback Center (SCC) in Vienna, VA is a community-based, non-profit organization. They opened their doors in 2005 as a result of the critical need to provide communication services to survivors after traditional medical insurance benefits were exhausted. This type of long term, center-based support available at Stroke Comeback is unique in the Washington, DC metro area and one of very few in the country. The SCC is a community of survivors of stroke and other brain trauma committed to living successful and productive lives on their slow road to better. The members, professionals, volunteers, coaches, and families know that recovery can continue forever. Darlene S. Williamson, an accredited speech-language pathologist and nationally recognized leader for her efforts on behalf of stroke survivors, founded the Stroke Comeback Center. Currently the Executive Director, she has guided the Center’s innovative work with survivors and the growth of this award-winning organization. In addition to providing communication and exercise classes for survivors with aphasia and other communication difficulties, the Center provides social opportunities for members and families. 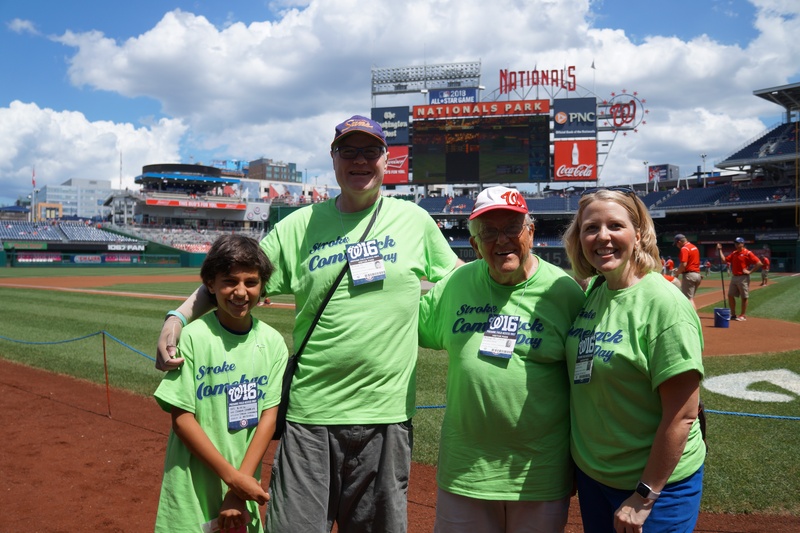 The SCC sponsors a number of member-based events and activities throughout the year, such as our Family Reunion Picnic and Stroke Comeback Day at Nationals Park (pictured to the right). In addition, they have an active community of caregivers who network with one another during their monthly Caregiver Connection gatherings. The SCC currently serves over 100 members in Vienna and now in their new Leesburg, VA location on the Paxton Campus. visit their website at www.strokecomebackcenter.org.